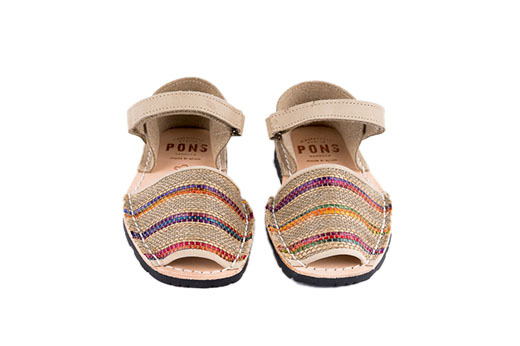 Our Pons avarcas for kids are stylishly functional, comfortable and fun! They feature a Velcro strap closure and extra heel support for greater stability. 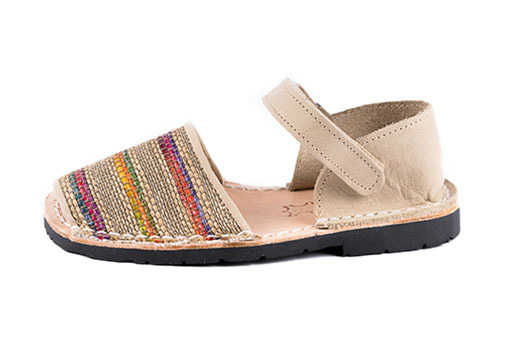 Lovingly handcrafted in Menorca by local artisans using only the finest all-natural textiles on the upper and a flexible lightweight rubber sole. Order one size up for better fit and room to grow.